1036 Saulter Rd, Homewood, AL.| MLS# 842750 | Richard Jacks UABLIVING.com 205-910-2297 | Birmingham AL Real Estate | Contact us to request more information about our Homes for Sale in the Birmingham AL area. Fabulous Edgewood home full of cottage charm & new amenities. This 4 bedroom, 3.5 bath home features a cozy sitting room w/gas log fireplace & gleaming hardwood floors. 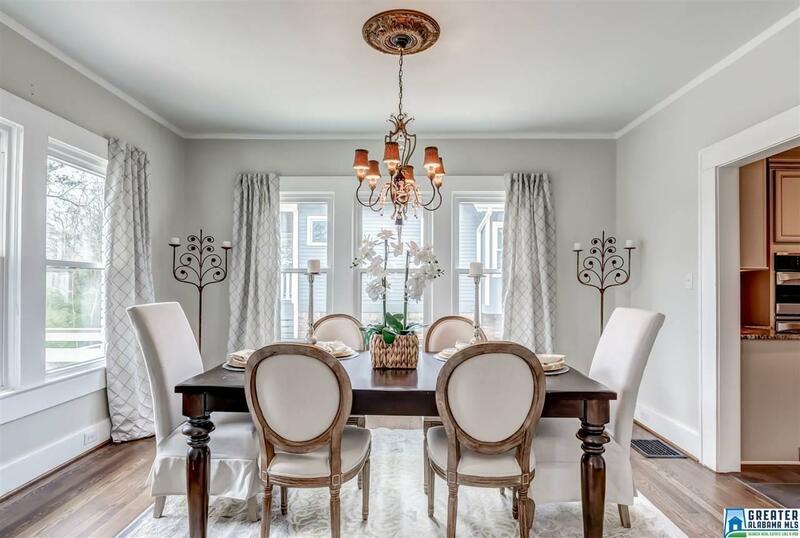 The dining room boasts a crystal chandelier & is perfect for your family gatherings. There is a nice size office off the living room with sliding wood doors for privacy. The kitchen is gorgeous w/granite countertops, stainless appliances, large island, gas cooktop, built-in microwave & oven, separate pantry & tile floor. The large family room features stained concrete floors & a shiplap accept wall! Plenty of room in the Master bedroom & bath with his & her vanities, 2 walk-in closets & a study. There is a 2nd bedroom, full bath & half bath on the main level as well. Upstairs you&apos;ll find the perfect family theatre room complete with a projector & screen, 2 large bedrooms, a full bath & upstairs laundry! Don't miss the walk-in attic, fenced backyard, add'l main level laundry & partial basement. Hurry, it won't last long! Driving Directions: Hwy 31 To Saulter Rd. Home Will Be On The Right Before Broadway Or Lakeshore To Green Springs, Right On Broadway, Right On Saulter And Home Will Be On Your Left.